Human rights activist have called on the relevant authorities to bring those behind the abduction and murder of Major General Idris Alkali (Rtd) to book. 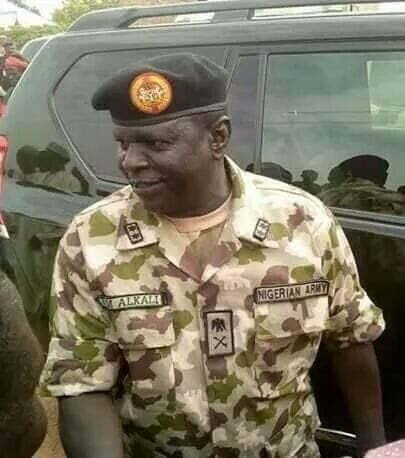 The lifeless body of Major General Alkali, who went missing since September, was discovered in a well last week. Some human rights activists and sympathizers, who converged at the Unity fountain in Abuja for a candle light procession in his honour, wondered why the perpetrators of the dastardly act will choose to murder a military officer who had put in 35 meritorious years of service to the nation in such an inhumane manner. The sympathizers, who came out in their large number under the auspices of Concerned Patriotic Citizens, lambasted the killers of the late Maj Gen Alkali and called for justice, as according to them, no individual in the society has the powers to take his neighbourâ€™s life, lest a member of the Nigerian Armed Forces who has given all his life in the service of the nation. Mr. Anngu Orngu, who led the procession, after praying for the peaceful repose of the soul of Maj Gen Alkali, called on Nigerians to treat members of the Armed Forces with utmost respect. Mr. Anngu also decried the failing standard of humanity in the society, â€œWhere a group of persons will take to such heinous crimes against either serving or retired military officers in the countryâ€. He decried the mob attack on the military when they do wrong in the course of their duty but fail to accept that members of our armed forces and their families also deserve all the dignity and respect entitled to every other Nigerian. â€œIt is pertinent that we always recognise and appreciate the selfless efforts of our troops whose struggles often go unappreciated but unfortunately we are ever ready to castigate for any little shortcoming,â€ he lamented. Meanwhile he saluted the Chief of Army Staff, Lieutenant General TY Buratai for maintaining a high standard expected of his office by not allowing the troops to descend into taking the laws into their hands in the process of fetching the missing officer. â€œIt will be necessary to hail the Chief of Army Staff for showing restraint even when the army as an institution has been desecrated. We have witnessed the manner other Army chiefs reacted in such occasions. We commend him for his good relations with the civilian population,â€ Mr. Anngu stated.